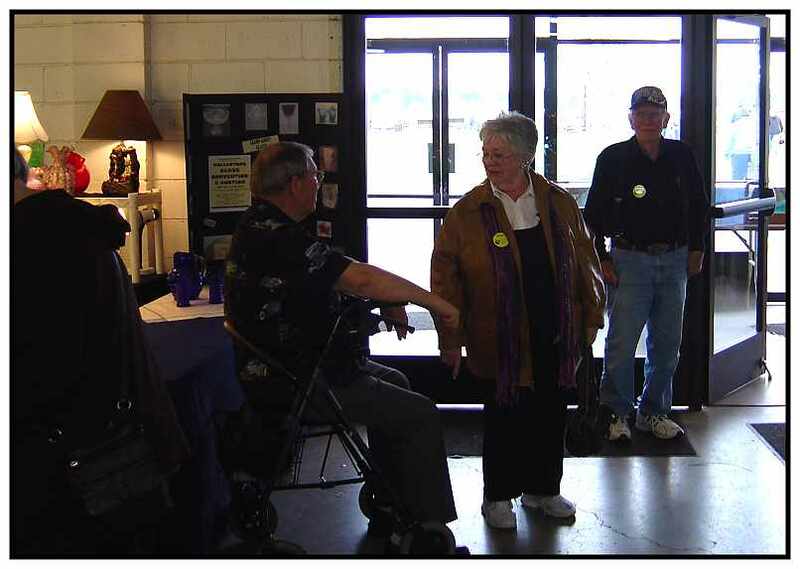 Carole White, Show Chair helps members Karen and Jim Young greet the guests at our 30th Annual Show and Sale on January 30-31, 2010 at the Washington County Fairplex in Hillsboro. 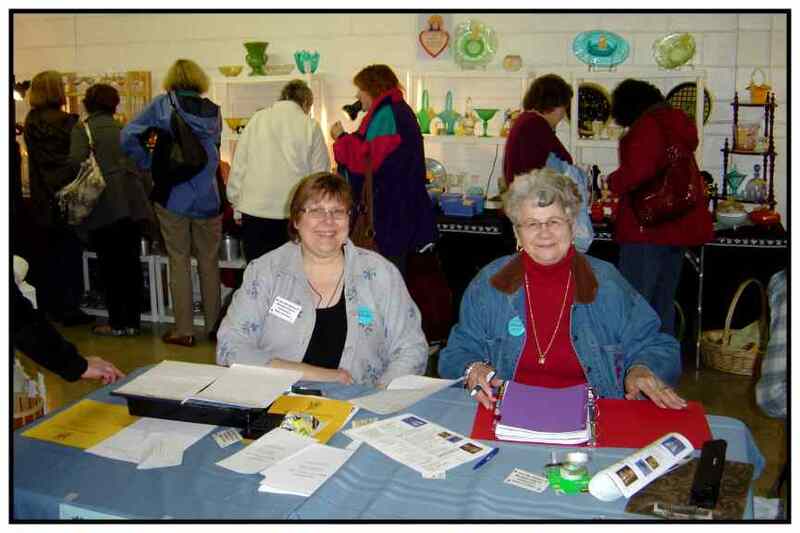 Members Joi Shervey and Mavis Case greet customers in the Rain of Glass Club Sale Booth. 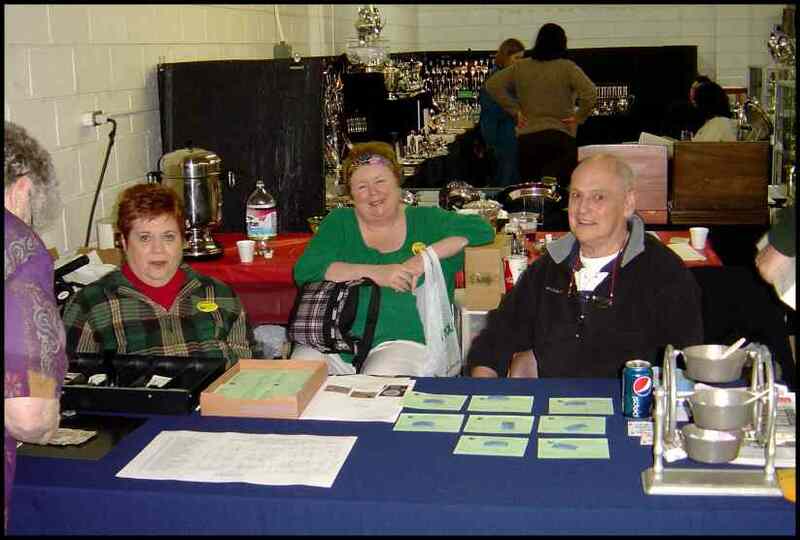 Members Delene Haake, Ed Martin and Carole White take their turn staffing the Admission Table. 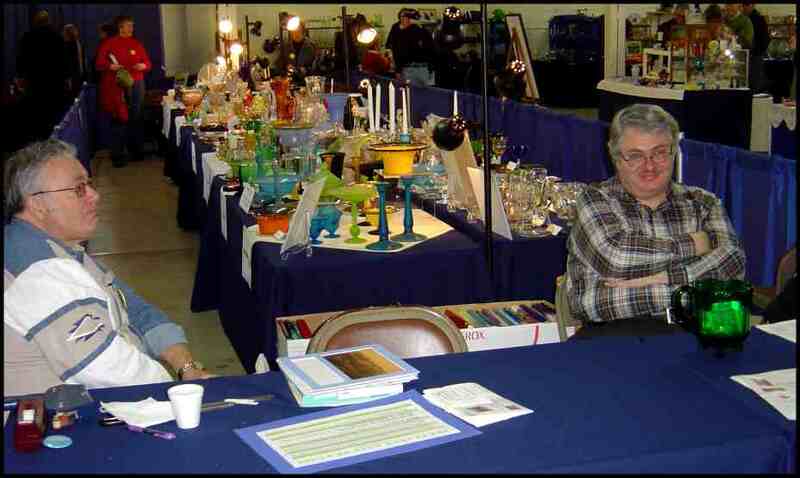 Members Dan Haake and Pat Day and her brother Bob Day chat about glass found at the show. 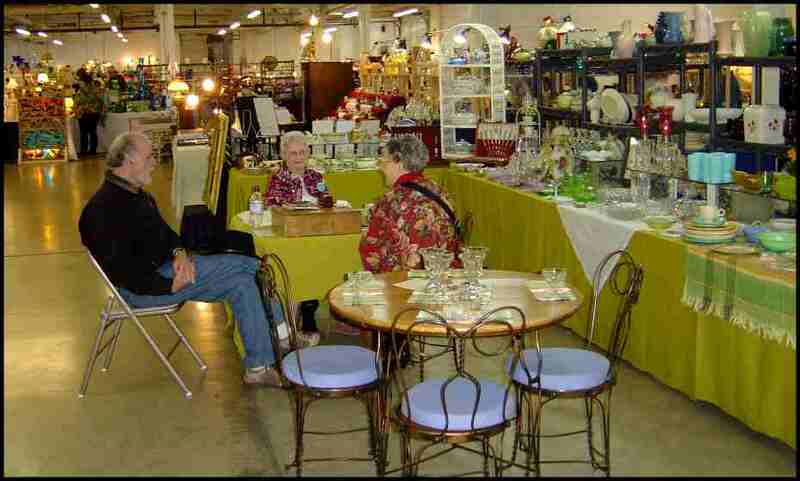 Dealer Carrie Domitz visits with members Velma and Elmer Heffner. 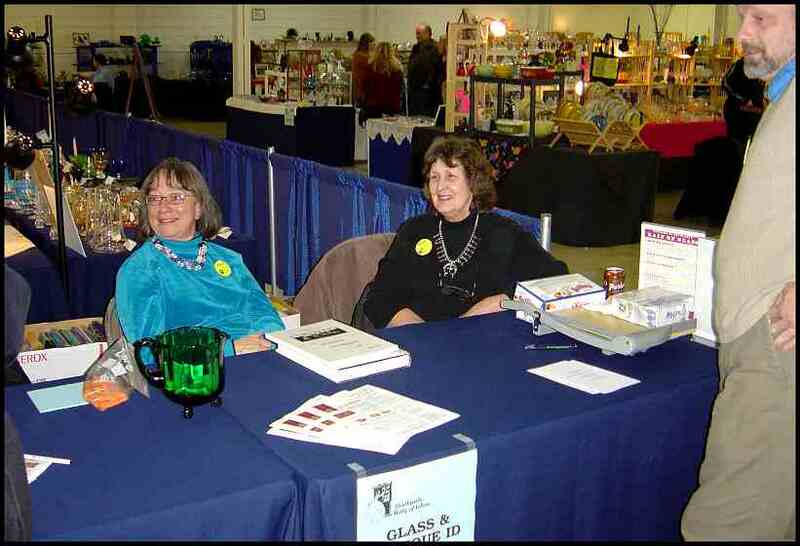 Members Barbara Coleman, Sandra Millius and Jeff Motsinger at the Glass and Antique ID Booth. 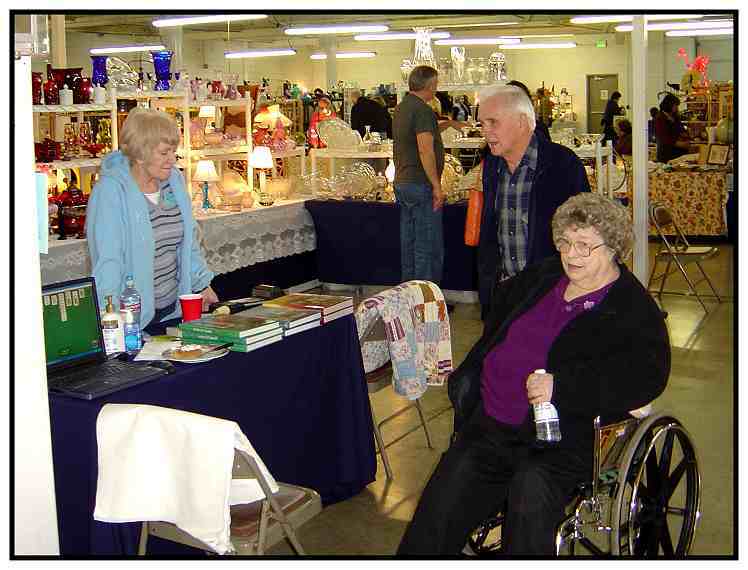 Members Fred Leeson, Winona Bodine and Janice Ahl relax and enjoy the show in Janice’s booth. 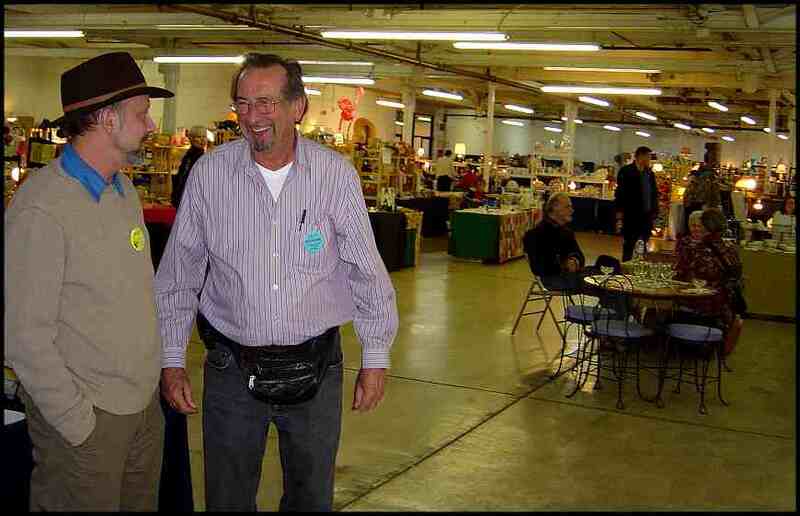 Member Jeff Motsinger and member/dealer Al Carder share a light moment. Members Jeff Specht and Delene Haake talk about recent finds. 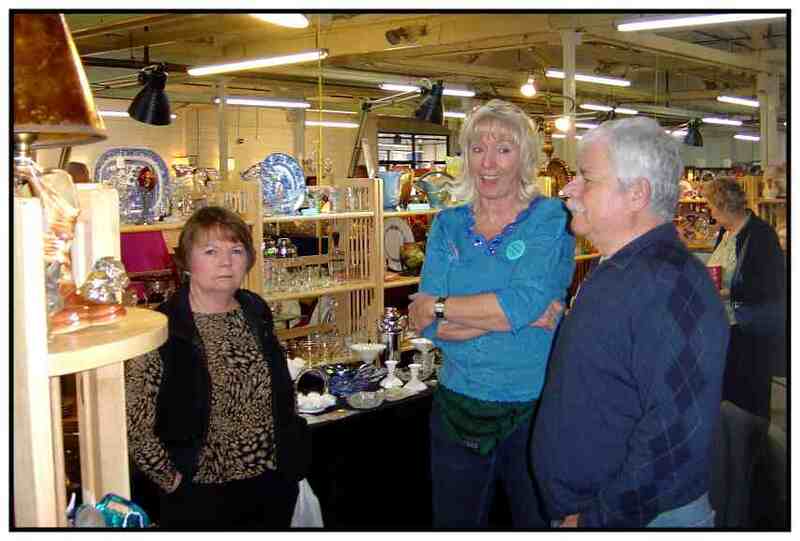 Member/dealer Michelle Kemp shows her extraordinary pieces to members Steve & Ronda Stone. 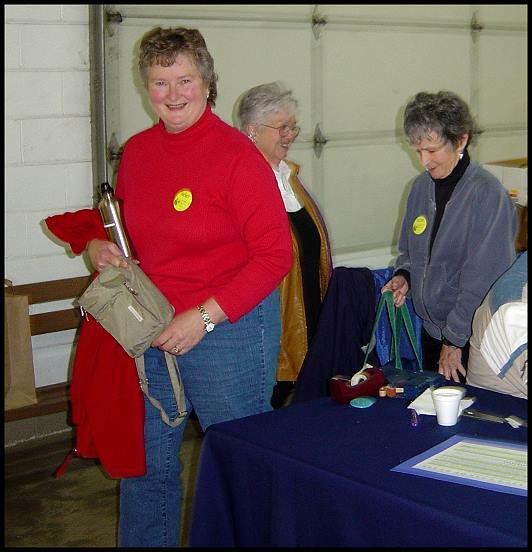 Smiles were very common as you can see members Sandra Martin, Pat Day and Jan Baxter enjoying the Show . 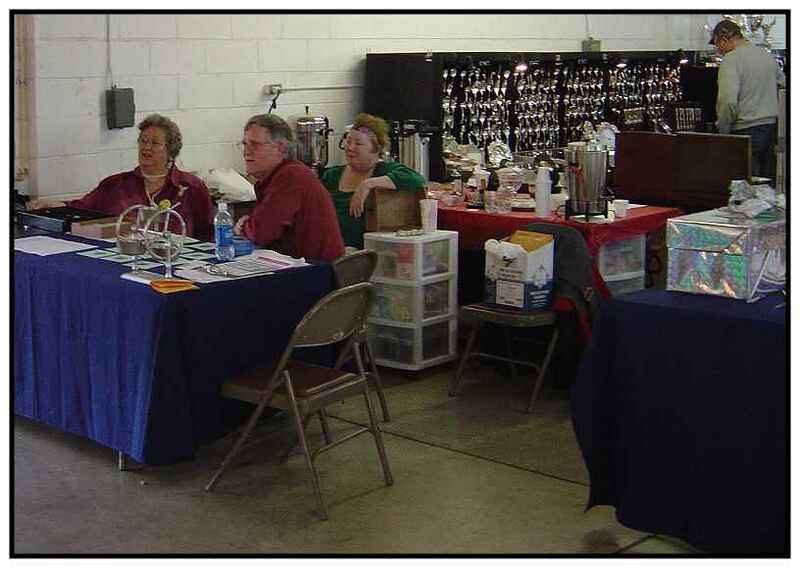 Members Dennis Headrick and Neal Skibinski hold down the fort at the Glass and Antique ID Booth with the club member displays in the background. 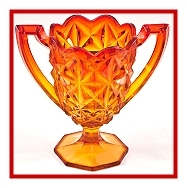 PROG Members know how to put together wonderful glass exhibits and this year was no exception. 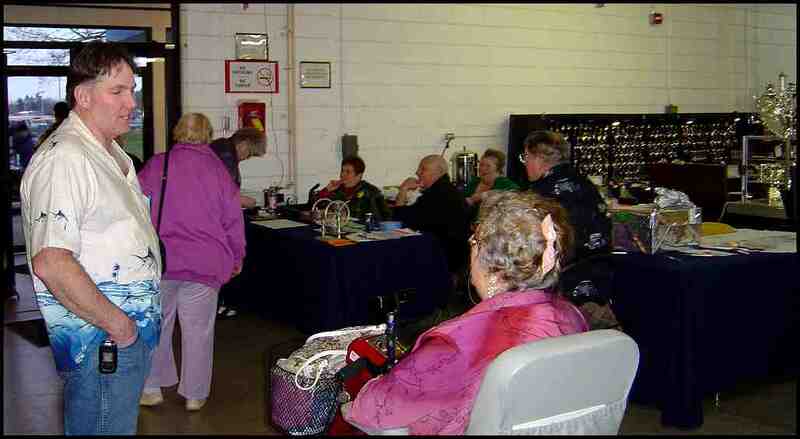 Our theme was American Glass Factories, and members showed pieces from their personal collections. 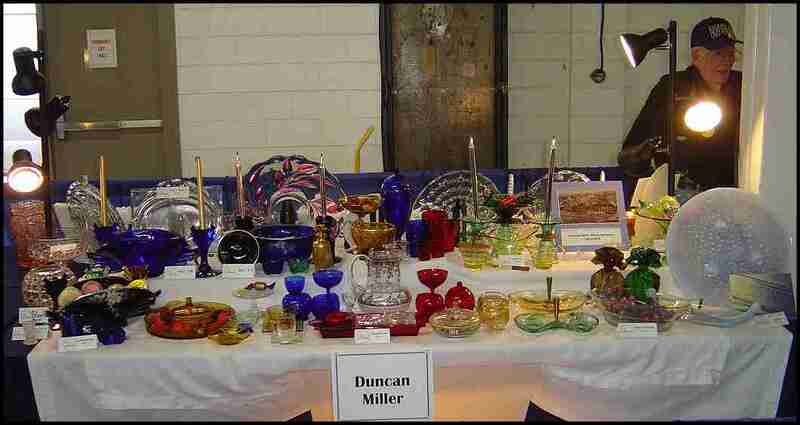 Member Bill Line’s Duncan Miller display. 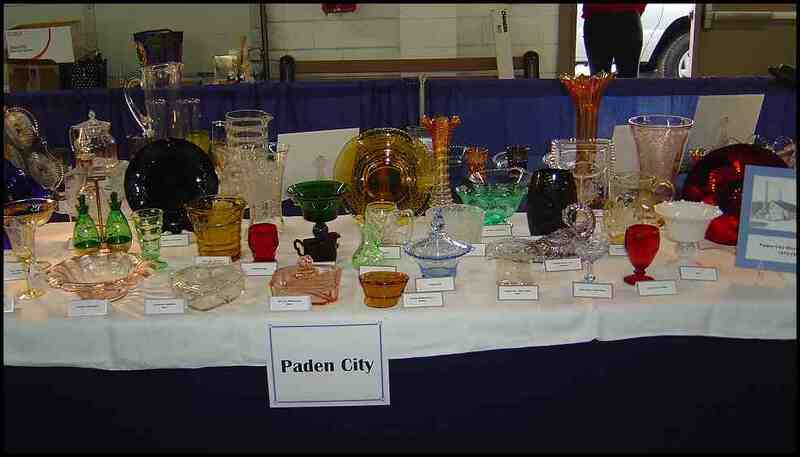 Members Steve & Ronda Stone’s Paden City display. 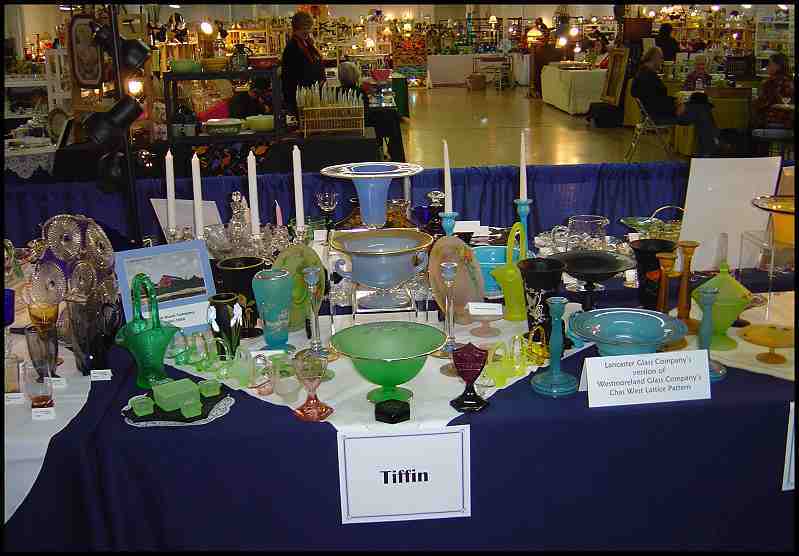 Member Carole White’s Tiffin display. 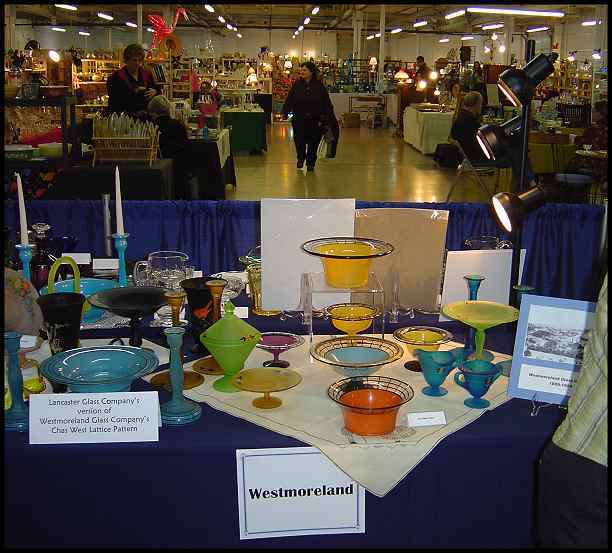 Member Carole White’s Westmoreland display. 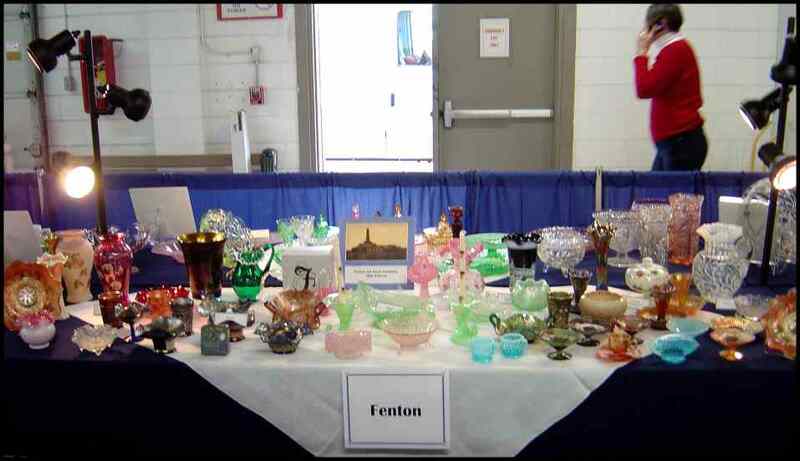 Rain of Glass members’ Fenton display. 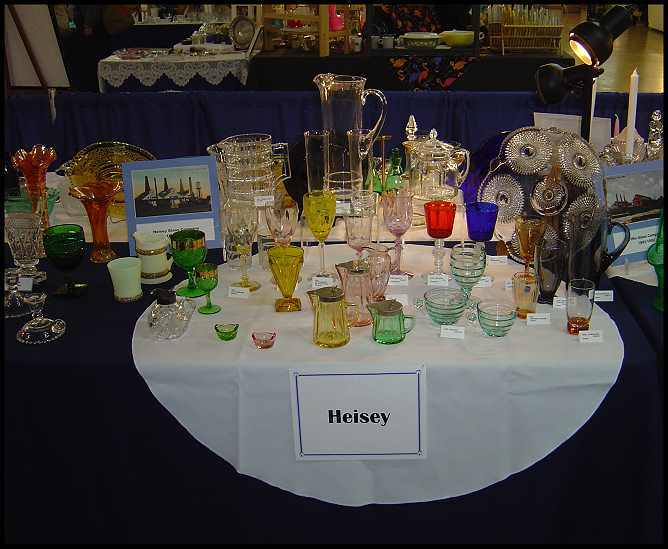 Member Dennis Headrick’s Heisey display. 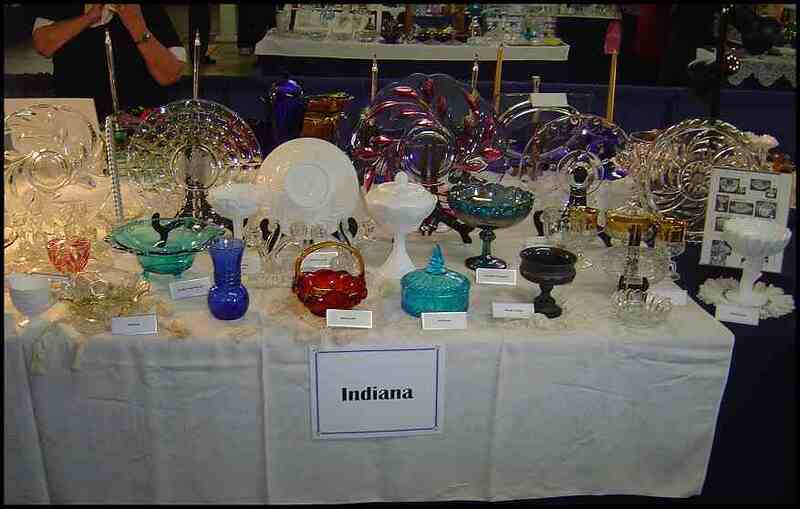 Member Shirley Bolman’s Indiana display. 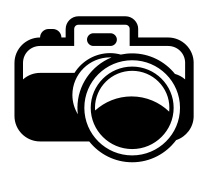 We hope you enjoyed our memories from the 2010 Show. See you next year.